Set included an Alco A diesel, vista dome car, two Pullmans and an observation car. Set included a GM&O GP20, Northern Pacific stock car, L&N Searchlight Flat Car, Swift's reefer, UP gondola and GM&O caboose. Set included a Great Northern U36B, Frisco Hi-Cube, ICG Flat with two trailers, Bessemer covered hopper, Pickens box car, Gulf tank car and matching GN caboose. 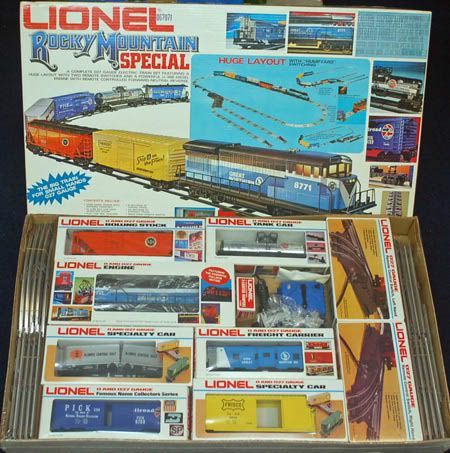 Lionel's 1977 catalog introduces the Trains n' Truckin' category with a pair of offerings. The sets combined a train set with big trucks. The base offering was the Steel Hauler (No. 6-1760) and the next up set was Cargo King (No. 6-1761). 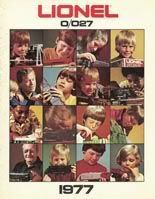 The other new set releases for 1977 included The Wabash Cannonball (No. 6-1762), The Heartland Express (No. 6-1764) and the Rocky Mountain Special (No. 6-1765).